Harris-Stowe State University does not provide accident insurance coverage for injuries received by Intramural Sports participants. Each participant should make sure that he/she has coverage either through family policies or the student insurance plan. 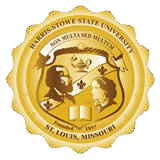 Harris-Stowe State University PROHIBITS possession or consumption of alcoholic beverages on University property. Smoking and the use of smokeless tobacco is also prohibited at campus recreation facilities. This includes the Emerson Performance Center and all Givens Campus Fields. Violators will be asked to leave the area. Failure to do so can result in forfeiture of the contest, suspension of individuals and/or teams, and appropriate action by the director of Institutional Security and Development and/or St. Louis Missouri Police Department. 1. Participation is limited to currently enrolled, fee-paying HSSU students, faculty members, and full-time staff. Members of the community are not eligible. 2. In order to participate in an intramural contest, each player must present his/her current, valid HSSU ID. Check-in takes place at designated sign in locations at the facility, not at the fields or courtside. 3. Additional information regarding player eligibility, team rosters and participant check-in is available in the Seven Principles of Intramural Sports, available online at the HSSU Intramural Sports website and in the Intramural Sports Office in Gillespie Residence Hall, Room 126. Requests for exceptions to any policy must be directed to the intramural administrative staff during regular weekday business hours in the Intramural Sports Office. No exceptions are granted at the fields or courts. 1. Players can compete on one men's or women's team, regardless of league classification, and play for one co-rec team as well. 2. Men's, women's, fraternity and sorority team line-ups may include up to eight players. Co-rec team line-ups may include up to eight players with no more than four males and four females. In a co-rec game, the kicking order will alternate between male and female kickers. Eight players will play in the field. 3. Teams in all leagues may begin and end a game with six or seven players. In a co-rec game that starts with seven players, a member of the majority gender must kick first in the line-up. For teams which begin with six or seven players, any late arriving players may be added to the line-up or join the team in the field immediately (after properly signed in). 4. A team's roster is unlimited (unlimited number of substitutes). Limited free substitution is permitted in order to encourage maximum participation. Limited substitution is available to all players in the line-up. Once a substitute has entered the line-up, he/she must play for a full inning (team's offensive and defensive halves of a inning). This rule allows for re-entry of both the starter and any subsequent substitutes. In the event of an injury, a substitute may enter the game prior to the full inning period. Ejected players may not be replaced in the line-up or in the field. An out will be recorded when an ejected player’s turn occurs in the line-up. 5. The use of the extra hitter/extra kicker (EH/EK) is not permitted in any league. 1. All players must wear shoes; tennis shoes and soft-soled shoes are legal. Cleats that are rubber or rubber-type synthetic material that are non-chipping and do not form a cutting edge are legal. Sandals, flip flops, and boots are not permitted. No metal cleats or shoes with detachable cleats are allowed. Any player caught wearing metal cleats will be ejected from the game. 2. Kickballs will be provided by the Intramural Sports staff at the game site. Helmets are available, if desired. 3. Wrist and hand jewelry is NOT allowed to be worn by any participant during intramural kickball. This jewelry consists of any visible rings (including wedding bands), watches, bracelets, and any other such similar jewelry. Medic alert bracelets must be taped to the body or secured under clothing such as a wristband or sock to be worn during play. A player is subject to ejection for failure to remove any jewelry after first warning. 4. The distance between bases shall be 50 feet. The pitching line shall be a dashed line which connects first and third bases and shall be approximately 35 feet from home plate. Solid white lines shall indicate the foul lines. The kicking line shall be a straight line which connects points five feet down the first and third base lines from home plate. The bunt line shall be a straight line which connects points 35 feet down the first and third base lines from home plate. 1. There is no out-of-play area in IM kickball. Balls that are obstructed (over a fence, behind an immovable object) shall be declared dead with bases awarded to runners based on ASA obstruction guidelines. 2. Teams shall remain clear of the fields while games are in progress. 1. Game time is forfeit time. A team needs at least six legal players to begin the game. Any team that forfeits a game will not be eligible for the playoffs. If the forfeiting team wishes to play the rest of its regular season games, the team captain must come into the Intramural Sports Office by noon on the next working day to present their case. 2. Each game has a 35-minute or six-inning limit. Any inning started before the end of the 35-minute time period will be completed. No inning shall begin after 35 minutes. 3. Regular season games can end in a tie. Extra innings will be played only if they start before the 35-minute time limit. . All tournament games will continue into extra innings until a winner is determined. 4. Mercy Rules: After four complete innings (or 3½ if the home team leads), if a team is ahead by 17 or more runs, the game will be called. After five complete innings (or 4½ if the home team leads), if a team is ahead by nine or more runs, the game will be called. 5. Insurmountable Leads: Due to the maximum of eight runs per inning, if one team is ahead by one more run than the number of outs remaining for the opponent in a traditional six inning game (or the current inning if the 35-minute time limit has already been reached), the game will be called. For example, if the defending team leads by seven runs, and the first two kickers get out in the final inning, the game will be called as only six outs/six possible runs remain for the kicking team. 1. The HSSU Intramural Sports Office reserves the right to postpone or reschedule a contest if circumstances warrant such action. Regular season games cancelled by rain are generally not rescheduled. Contests postponed due to other reasons may or may not be rescheduled at the discretion of the Intramural Sports staff. 2. In the case of inclement weather, the Intramural Sports staff will not make a decision regarding the playing of games until after 5 pm. For information on cancellations, call the Intramural Sports staff at (314) 340-5005. A. If inclement weather occurs after the closing of the Intramural Sports Office, decisions regarding the continuation of the games will be made on the field by the Intramural Sports staff supervisors. If you have a question regarding whether a game will be played, call the Intramural Sports Office. 3. A game stopped because of inclement weather is a regulation game if four or more innings (3 1/2 if the home team is ahead) have been played. In the event that a game is stopped in the middle of an inning, the official score will revert the the score at the end of the last complete inning. 1. Teams will pitch to their own kickers. A member of the defensive team will position themselves no closer than three feet from the pitcher to act as a fielder. 2. Pitchers (of the kicking team) will not be responsible for playing defense. When the pitcher is struck by a kicked ball before it passes a member of the defensive team, the kicker will be called out and runners must return to the base occupied at the time of the at bat. In all other situations, the pitcher must move clearly out of the way of a defender making a play or the potential path of a throw. If, in the umpire's opinion, the pitcher interferes with any part of a defense's play, the umpire may call out a runner or the kicker as appropriate. The ruling will follow guidelines similar to "interference" and "obstruction" in the manual. A. The first pitcher may pitch to the first three batters. Another pitcher enters to pitch to the next two batters. Finally, the original pitcher returns to pitch to the final three hitters. B. The first pitcher pitches to batters one through four. Another pitcher enters to pitch to numbers five through seven. A third pitcher rolls to the number eight hitter in the order. 1. In the act of delivering the ball to the kicker, the pitcher shall stand with at least one foot in contact with the pitcher’s line until the ball leaves the pitcher's hand. A legal delivery shall be a ball that is delivered underhand and a slow to moderate speed. Bouncies are permitted. 2. Each kicker will receive a maximum of three pitches. If a kicker allows three pitches to pass and has not kicked the ball, he/she will be out. 3. The pitcher has ten seconds between pitches. If he/she exceeds this time, the kicker will lose the right to a pitch (from three down to two, down to one, then out). 1. All players in the line-up will kick in each inning. Therefore, up to eight outs may be recorded during a team's at bat. 2. The kicking order may change each inning. 3. The offensive team (pitcher or kicker) is responsible for notifying the defensive team when the last kicker is preparing to kick. If the final kicker kicks without the offense notifying the defense that it is their last kicker, that kicker will be ruled out and the inning will be over. 4. When the last kicker of an inning kicks, play reverts to regular "two-out softball play". Therefore, the inning will end when ANY out is recorded (when the kicker is put out or any baserunner is put out). The inning will also end when the defense is in possession of the ball while touching home plate. No tag is necessary at home plate during the last kicker's at-bat. No runs will score when a force out is recorded during the last kicker's at-bat. 5. The kicker must contact the ball behind the kicking line, which is approximately three feet in front of home plate. If, in the umpire's opinion, a kicker contacts the ball beyond the three-foot kicking line, he/she will be called out and all runners must return to their original base. 6. Any foul ball is an out (whether on the first, second, or third pitch). 7. There are no walks. 8. A kicked ball must clear the 30-foot bunt line in front of home plate to be in play. Balls that come to rest inside this area or that are fielded (touched by a defensive player with any part of the body above the waist) in this area are considered foul and an out will be recorded for the kicker. All balls fielded in this area are considered dead when touched by a fielder and all runners must return to their original bases. Fly balls caught in this area are also dead; runners do not have a chance to tag up. 1. No stealing is allowed. Baserunners may leave the base when the pitch is kicked. If a runner is off base before the pitch reaches the plate, the runner is called out and a "no pitch" is declared. 2. The base path for a runner is the direct line between the player and the base to which he is advancing at the time a play is being made on that specific base runner and the three feet to either side of that direct path. Note: this path may be different from the straight line connecting two bases. For example, a player who has run past first base a distance of about ten feet decides to run for second. His/her base path for any tag plays is the direct line from where he/she made his turn towards second base (ten feet down the line from first) and second base. This is different from the direct line from first to second base. For plays between home plate and first base, the runner shall run in the three-foot lane of the foul side of the foul line. 3. A player who runs outside his bath path (including the three-foot lanes on either side) in an attempt to avoid a tag shall be declared out. 4. Baserunners are responsible for avoiding all collisions with fielders anytime a fielder is making a play on the ball (fielding, throwing, catching). If the baserunner does not avoid the collision, play will be ruled dead, the baserunner is called out, the batter is awarded first (unless involved in the collision), and all runners return to their original base unless forced to the next base. 5. A defensive player cannot stand in the base path or obstruct the path of a base runner unless he/she is making a play on the ball. A fielder has absolute right to any position on the field to field a ball and all runners must avoid a fielder in these cases. In the event the defense obstructs a runner, the umpire shall award the runner and each other runner affected by the obstruction the bases they would have, in the umpire's opinion, reached had there been no obstruction. It is also obstruction when a fielder without the ball fakes a tag. In this case, bases are awarded as a normal obstruction AND the fielder will be ejected from the game. 6. Any runner in fair territory and not in contact with a base that is struck by a fair kicked ball is out except when (a) the ball has passed an infielder and in the judgement of the umpire, no other fielder had a chance to make an out, (b) when a runner is hit with a fair batted ball over foul territory and no other fielder had a chance to make an out, or (c) when a runner is touched with a fair batted ball after it is touched by any fielder, including the pitcher. In the event of one of these three exceptions, all runners must return to their previously occupied base and the kicker-runner is awarded first base. If the award of first to the kicker-runner causes another runner to be forced, that runner will advance to the next base. 7. In case of a possible double play, the baserunner must slide into the base or get out of the way of the thrown ball. Baserunners who fail to get out of the way may be charged with interference resulting in both the baserunner and the batter-runner being called out on the play. 8. When a defensive player has the ball and is waiting for the runner, and the runner remains on his feet and deliberately, with great force, crashes into the defensive player, the runner is declared out. The ball will be declared dead and all runners must return to the last base they legally occupied. If the act is to be judged flagrant by the umpire, the offending player will be declared out and ejected from the game and the runner closest to home will also be called out. A. On an initial overthrow by an infielder that lands in an obstructed area, the award is two bases from the time of the throw; i.e., batter gets second base, any baserunners are awarded 2 bases from where they were at the time of the throw. B. On an overthrow by the outfielder that lands in an obstructed area, the award is two bases from the time the fielder releases the ball, not when it goes out of play; i.e., if a man is one step away from second when the outfielder released the ball, the runner is awarded second and third. 10. When a fielder carries the ball over an out-of-play line, the play becomes dead and the baserunners are awarded one base (if unintentional) or two bases (if intentional) from the time the fielder carried the ball out of play. 11. All base awards are based on the position of the lead runner. For example, if two players are between first and second at the time of an overthrow which lands out of play, the first runner will be awarded second and third (two bases) and the second runner will receive second base only. 12. There are no courtesy runners in kickball. A. No more than six players (including a "fielding pitcher" and catcher) may position themselves within the infield area prior to a pitch being kicked. In a game with eight fielders, two must begin each play in the outfield area. B. Each team must provide a catcher. The catcher must field from behind the kicker. The catcher must remain at least three feet behind the kicker and may not cross home plate until the ball is kicked. C. If a team provides a "fielding pitcher", the "fielding pitcher" may align themselves on either side of the offense's pitcher no closer than three feet from the pitching rubber. The "fielding pitcher" may not position themselves in front of pitcher's rubber (closer to the plate) until a ball is kicked. D. Only one other infielder, other than the "fielding pitcher", may position themselves inside the diamond (inside the first/second/third base diagonals) until the ball is kicked. 2. In co-rec play, a maximum of three males and three females may play in the infield. This maximum includes the pitcher and catcher. The remaining players will play the outfield. 3. The kicker is out in situations similar to softball (forceouts, flyouts, etc). In addition, a runner is out when he/she is hit by a thrown ball below the shoulders. The ball must be thrown with the hands/arms in order to record an out in such cases. Balls kicked or contacted by the defense in such a way that they hit a runner will not result in an out. A thrown ball that bounces prior to legally contacting a runner still puts out the runner. 4. Any runner hit above the shoulders is safe. In this case, the play continues but the runner who was hit above the shoulders is NOT liable to be put out until after he/she touches the next base. However, if the runner intentionally uses the head to block the ball or ducks, the runner will be called out (the ball is immediately dead and runners must return to the base they last touched). In the event a fielder intentionally throws a ball towards and contacts a runner's head, the play will be immediately dead and the fielder will be ejected. The runner will be awarded home and all runners in advance of the runner hit by the ball will also score. 5. There is no infield fly rule. 1. An appeal play is one in which an umpire cannot make a decision until requested by a member of the defensive team. Appeals must be made prior to the next legal or illegal pitch or before the defensive team has left the field. 2. Once the ball has been returned to the infield and time has been called, any infielder (including the pitcher or catcher), with or without possession of the ball, may make a verbal appeal on a runner missing a base, a runner leaving a base too soon, or the batter batting out of order. The plate umpire should acknowledge the appeal, and the administering umpire should then make a decision on the play. Baserunners cannot leave their base during this period, as the ball remains dead until the next pitch. 1. There will be a coin-toss prior to each game to determine the home team. 2. A player who is bleeding or has blood on his/her uniform cannot participate until the bleeding is stopped or the uniform is changed. If the player accomplishes this task within a reasonable time (to be determined by the umpire), the player may remain in the game. If the situation is not handled in a reasonable amount of time, the player must leave the game and be replaced. The player is then subject to the re-entry rule. If no substitutes are available, play will continue without the player. The player, then, may re-enter the game when he/she is deemed legal for participation. 3. The pitcher may receive a maximum of three warm-up pitches prior to the first inning. Warm-up pitches are prohibited at all other times. Infield practice is not permitted prior to any inning. 1. The mission of Intramural Sports is to provide a recreational environment for the University community which is safe and enjoyable. While the game atmosphere is often competitive, ensuring participant safety, providing a fun, social atmosphere, and promoting sportsmanlike behavior among participants, spectators, and team followers are our primary concerns. The game atmosphere should remain good-natured at all times. Participants shall maintain good sportsmanship throughout their participation in all facets of the intramural program. 2. The Sportsmanship Rating System is intended to be an objective scale by which teams' attitude and behavior can be assessed throughout the intramural sports league and playoff seasons. Behavior before, during, and after an intramural sports contest is included in the rating. The team captain is responsible for educating and informing all players and spectators affiliated with his/her team about the system. 3. A team is responsible for the actions of the individual team members and spectators related to it. Additionally, HSSU Intramural Sports does not recognize the use of coaches. Only the team captain shall speak to the officials regarding administrative matters (protests, ejections, disqualifications, etc). Furthermore, the team captain's efforts in assisting officials/staff to calm difficult situations and to restrain troubled teammates are key to controlling team conduct. 4. Sportsmanship is vital to the conduct of every Intramural contest. In order to encourage proper conduct during games, officials, administrative personnel, and supervisors shall make decisions on whether to warn, penalize or eject players or teams for poor sportsmanship. These decisions are final. The Intramural Sports administrative staff will rule on further penalties as a result of unsportsmanlike conduct. 5. Each participant should choose his or her team members carefully, as all team members will suffer the consequences of any disciplinary action taken by the Intramural Sports staff against that team for violation of the intramural rules and sportsmanship guidelines. Protests or appeals of sportsmanship ratings will not be recognized. The Intramural Sports administrative staff reserves the right to review any rating given to a team. 6. Additional information regarding team and participant sportsmanship including the rating method, factors, and scale is available in the Sportsmanship principle of the Seven Principles of Intramural Sports, available online at the HSSU Intramural Sports web site.